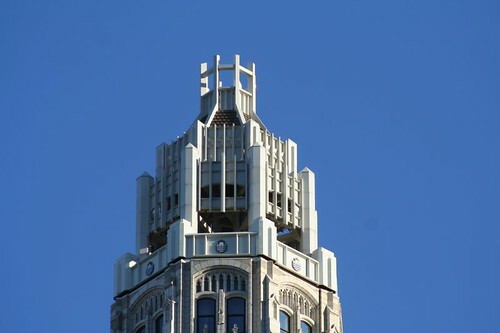 The AIA Guide to Chicago likens it to "a terra-cotta Gothic rocket poised for takeoff". 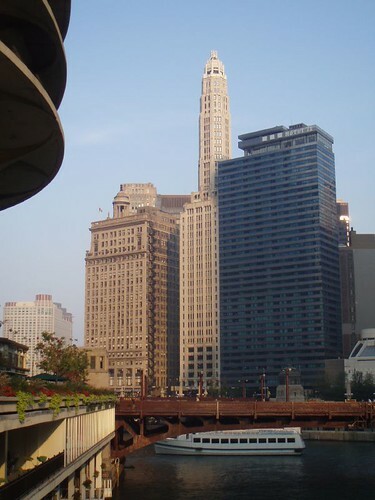 Unbelievably slender, the Mather Tower rise some 42 stories above the Chicago River at the north edge of the Loop. 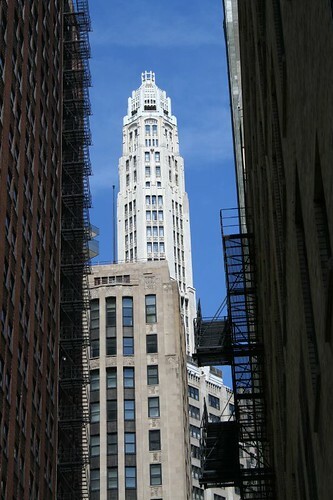 It is one of a half-dozen skyscrapers from the 1920s which form an unparalleled ensemble where Michigan crosses the river. Together with the river, the vast sidewalks, the ornate bridges, and the multi-level streets, these towers collectively make this intersection one of the world's greatest urban spaces. 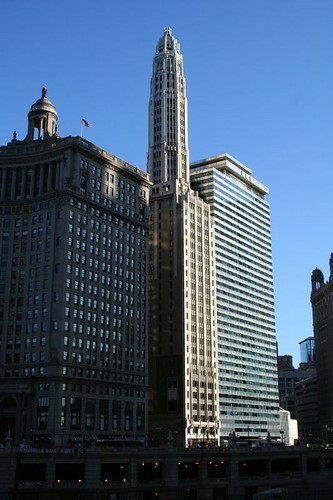 Designed by Herbert Hugh Riddle, the building was once the Linocln Tower, and now goes by the uninspired title of 75 E. Wacker Drive; however, it was built as the Mather Tower in 1928. It was headquarters for the Mather Stock Car Company, a manufacturer of railroad cars. Plans for an identical twin next door were scrapped with the coming of the Great Depression. 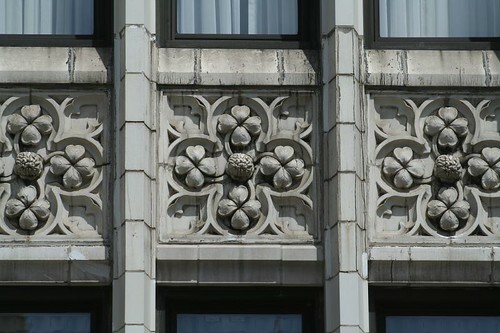 In the 1990s, the building's terra cotta skin was deteriorating. Pieces had fallen off and reportedly hit pedestrians on the sidewalks below. 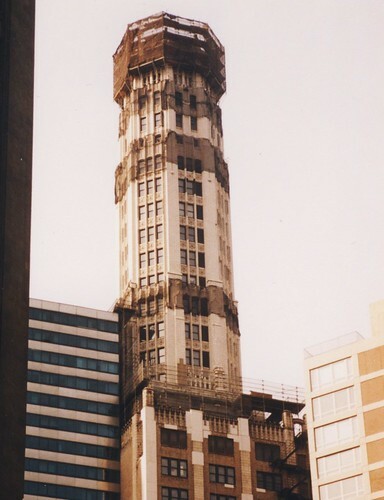 Much of the building was wrapped in netting, prior to a complete restoration of the exterior. 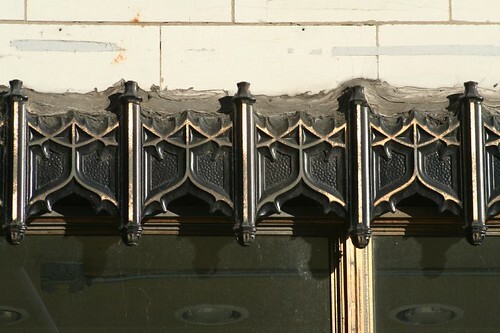 The building's cap is actually a prefabricated replacement, installed in 2002 after the deteriorated original had been removed. Unfortunately, though intended to be a duplicate of the original cupola, it doesn't integrate with the original tower in form or color. Compared to the original, it clearly reads as the tacked-on replacement that it is. Still, we're lucky to have the cupola at all. 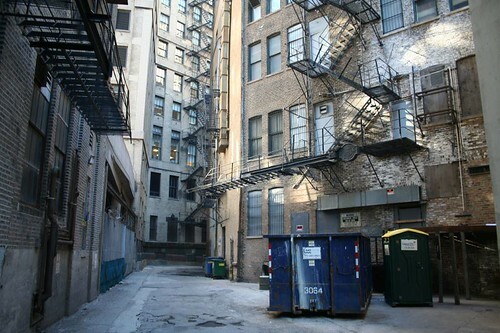 Restoring it involved a few million buck in TIF money and tax abatement. Yeah, it's too bad they didn't match the colors. That's pretty sloppy and is obvious to anyone who looks at it. It's a shame it is in such a prominent location too. Glad the building is still there though - an no terra cotta falling off. I stumbled on to this page, and I am so glad I did. 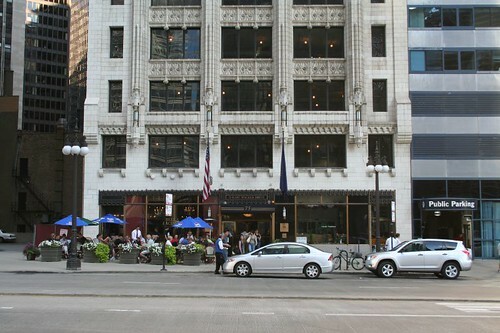 This is my favorite Chicago building and I appreciate the insight into it's history as well as the great photos. Thanks! 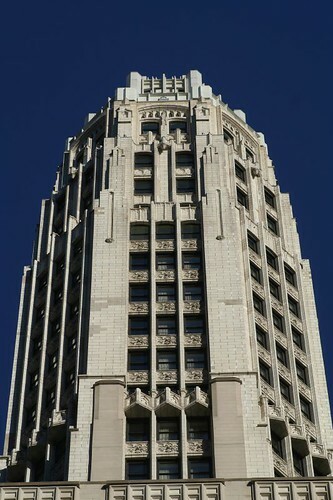 I feel honored to have been the project superintendent for the renovation of this tower. This was one of the most unique projects that I have ever worked on. 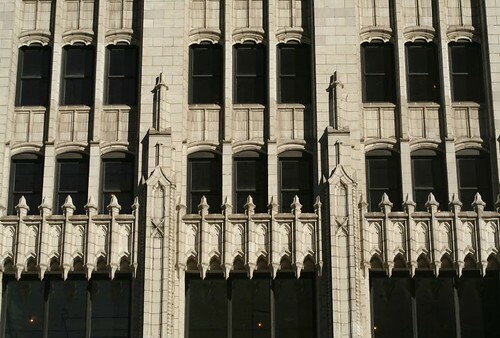 The craftmanship that went into this building in the 1920's is hard to believe. I am happy that a great effort was made to save this wonderful building.